A type of seasoning made from fermented or germinated soybeans that is used to flavor a variety of Asian foods. Bean Pastes and Sauces are common in Asian cooking and are often used as a base sauce from which other types of pastes or sauces are developed. 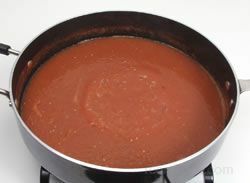 Combining a Bean Sauce with hoisin sauce or a hoisin sauce with chili bean paste enhances the flavor of the sauce and the food to which it is added. Bean Pastes and Sauces are used to flavor hot or spicy tasting food dishes and are often combined with chile peppers or other seasonings to intensify the heat and taste. 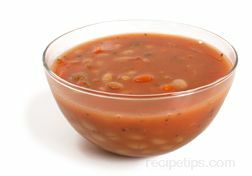 Poultry, meat, noodles, pork, and vegetables are all foods that are frequently seasoned with bean Sauces. There are many different types of Bean Pastes and Sauces made for use in Asian cooking such as Chili Bean Pastes made in red, green, yellow, or roasted varieties, Bean Sauces made in yellow or brown varieties, and Chili Bean Sauce made as a red sauce. In addition, within all the varieties, there are different textures (from thick to thin), different intensities of heat (from mild to hot), and different levels of sweetness. Black Bean Sauce contains ground black beans combined with seasonings such as garlic and at times star anise. 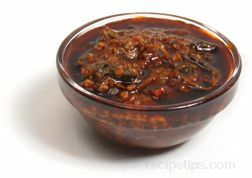 The Pastes and Sauces labeled as hot such as Hot Black Bean Sauce will often contain chiles to provide the heat combined with the ground beans, garlic seasoning and sugar. Yellow Bean Sauce which contains yellow beans and is brown in color is basically the same as Brown Bean Sauce or Ground Bean Sauce. 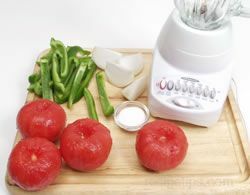 Chili Bean Sauce is a salty flavored sauce containing chile peppers, fermented soybean paste, possibly fermented broad bean paste, sugar, garlic and other seasonings. Bean Paste or Sauce is typically sold as a sauce made with either whole beans or crushed (mashed) beans that have been ground into a puree-like texture. The Pastes and Sauces made with whole beans are typically labeled as Bean Sauce or Bean Paste which are mixtures containing the entire bean processed into a thick paste or sauce that may be sweetened or unsweetened. 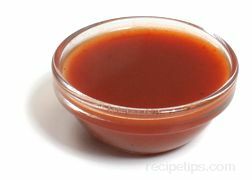 These Pastes and Sauces are generally the preferred types of mixtures since they have more of the soy flavor and texture that is similar to the traditional soy sauces. 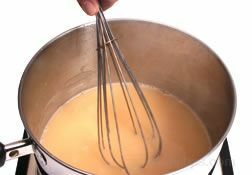 Beans that have been crushed are most often puréed, as they are ground or mashed into a smoother texture and labeled as a yellow or crushed Bean Sauce. The crushed Bean Sauces are saltier tasting than the whole Bean Sauces. 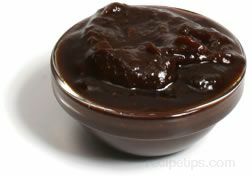 Other names often used for the Pastes or Sauces may include Brown Bean Sauce, Bean Paste, Soybean Sauce or Soybean Condiment. 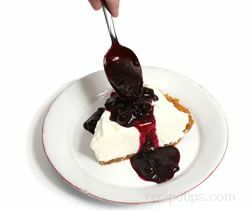 For storage, keep opened Paste and Sauces stored in an airtight plastic or glass container placed in the refrigerator. Storing for several months is acceptable and use by the date displayed on the label.